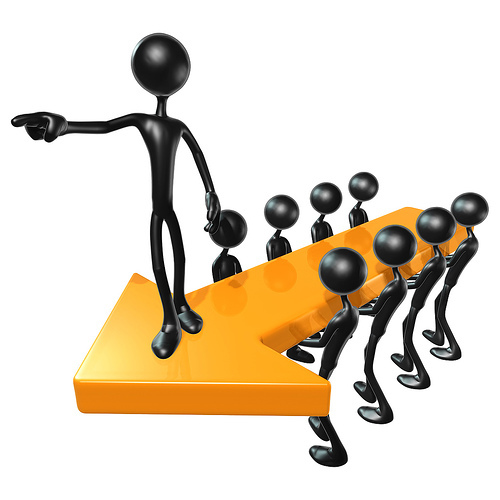 Developing Leadership Qualities in Students – why? Over the last 4 years I have been teaching in the senior end of my primary school with Year 5 and 6 students. The expectation at this end of the school (at my school anyway) is that the student’s are given exposure to as many leadership opportunities as possible – but how much is too much and are the students ready for this? The reason for this blog post comes down to my passion for developing young leaders. Two years ago I was awarded a scholarship to be a part of a NZ Young Leaders Programme through Auckland University. I was lucky enough to be part of a group of 30 leaders from different professions from around NZ and this taught me a lot about who I am and what leadership is. This inspired me to give all student’s in my classroom a similar opportunity as I was provided with. I have been reading some articles lately about leadership development in student’s and many educational writers believe that leadership should be confined to those that are “gifted”. I would like to challenge this theory through sharing some things that I do to give ALL student’s in my classroom the opportunity to lead in a variety of ways. I believe all people need role models and leaders in life to be successful. Most of us agree that professions such as medicine, technology, education, business, politics, and the arts need people who can use intelligence, creativity, and critical judgment. The role of parents and educators is critical in assisting with the development of leadership attitudes and skills in students. Two years ago we started running 2 camps a year for our Year 6 children. Which was challenging in itself when so many schools are moving away from EOTC because of the paperwork and safety elements. At the beginning of the year we take the children (our leaders) away for a 2 day “leadership” camp. At this camp the student’s are challenged to work together and take part in activities that challenge them as a group, as individuals and as a collective. They are given opportunities to challenge each other and be challenged by the staff and parents. We encourage them to let go of all pre conceived ideas and reflect on their learning both as leaders and as followers. This camp sets up their year as leaders in our school. It is an extremely powerful experience for the students and one that they reflect back on throughout the year. At the end of the year we take the student’s away for a 5 day camp to celebrate their leadership learning and to push them outside their comfort zones. It is a fun and rewarding way to end the year. In my school the children are given opportunities throughout the school year to be involved in several leadership “groups” that all children look up to. We have “Yellow Shirts” who are selected by the staff and they go through peer mediator training. They then work in the playground with student’s at lunchtimes to help solve problems and administer basic first aid. Another group are our PAL’s (Physical Activity Leaders) who get a lot of training and a huge amount of support to run games and activities for student’s at lunchtimes by themselves. I also run an ICT help desk crew. They are trained up to assist students and staff throughout the year and are called upon almost every day – it is very cool to see their faces wen they help someone. Other responsibilities in my school include: Bell monitors, lunch monitors, office helpers, road patrol monitors, plus many more. Leadership is extremely powerful. These examples are to show you the types of opportunities I believe all student’s deserve the opportunity to be involved in at a primary school level. Some student’s will jump at the opportunity to be involved in these groups and others will naturally shy away from these. The key thing for me is that they get the chance to be a part of leadership. There is still something powerful in being a follower and watching leadership from a distance. I really do believe that every student in my classroom is a leader during some part of their day and that this is a key part to being a confident and successful person in life. Is this for everyone – No, not at all, but does everyone deserve the chance to be a leader – ABSOLUTELY! All student’s deserve the opportunity to lead and be lead – if you are an educator and you are not giving these opportunities to your students I think your student’s and parent’s deserve to know why? The power that these opportunities give student’s is remarkable and it is fantastic to see how much confidence can positively effect the life and abilities of a student. Give your student’s the chance to lead – you will be amazed at the results. I would love to hear your thoughts about leadership and what you do in your classroom. I worry that by identifying children as ‘leaders’ and ‘not-leaders’ has the potential to create life-long mindsets. 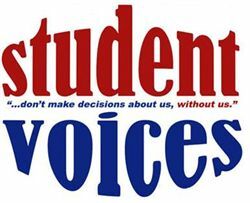 I think the huge variety of student leadership opportunities you have at your school is a great start! Scout has good readings on leadership. Everybody in the group ends up, one day, in some leadership position. Oddly enough, they succeed to turn pretty much anybody into decent enough leaders or for the least gifted, decent enough seconds. 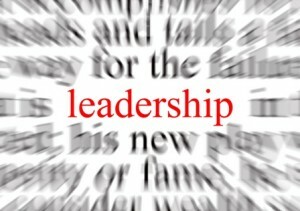 Nine skills involved in leadership – http://www.inquiry.net/leadership/9skills.htm. Thank you both so much for your feedback – @widged awesome links – I am reading them now – thank you so much for your feedback – be sure to stay tuned for the next blog post coming soon. Last year I decided that all our Year 6s should go to the Young Leaders Conference in Dunedin. My feelings were that how do you know you have leadership potential if you haven’t been exposed to leadership? I certainly didn’t know I had any potential in this area until I was involved in leadership in my second year of teaching. I thought this made a lot of sense. Some of our parents didn’t and told me that it was just a ‘cop out’ because I didn’t want to choose students to go. They were right – I didn’t, and wasn’t going to choose. They all deserved to be there and it made an enormous amount of difference to these students and fostered some pretty impressive leadership skills in them. I agree with Tara TJ – absolutely right about creating mindsets that we don’t want to create. its nice posts.the single biggest way to impact an organization is to focus on leadership development. There is almost no limit to the potential of an organization that recruits good people, raises them up as leaders and continually develops them.Finally we can say that develop leadership qualities. As there is no motivation. Previously leader were looking for quality, but today they need money. Hi, would like to use one of images in my blog, please? Thanks. Azza, Malaysia. Absolutely – more than happy for you to and reference back to here 🙂 Thank you for asking. Right i am writing a project related to the subject leadership development amongst pupils aged 12 to 19 years old. It’s difficult to explain but it seems that nowadays pupils are shirking away from responsibilities which is required to cause dev. Of leadership. Coz i believe in teaching leadership to pupils. Can you just give a hint how to organize or plan it. I am from the island of Mauritius. I loved reading everyones thoughts. I think leadership qualities should be developed in junior classes as this will have a flow on effect to the senior levels of the school. Introducing co-operative and peer learning are strategies that will help foster future leadership skills. When young children are allocated a role within a group they feel empowered and a sense of responsibility. It is amazing how all children can develop leadership qualities if giving the opportunity. I am Usha, Head of an International School in Jakarta . We talk about “leadership” a lot and probably do very little. While I believe that not everyone needs to be a leader but we need followers too. All we need to do is understand that “follower” does not mean someone without an opinion!! I personally think that providing students with varied experiences is vital. These experiences help them realize their potential and leaders are born. Would love to meet you sometime. Thanks Usha – I loved your response! Would love to meet you sometime soon.